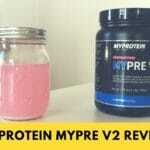 MyProtein is perhaps best known for their popular, inexpensive whey concentrate called Impact. 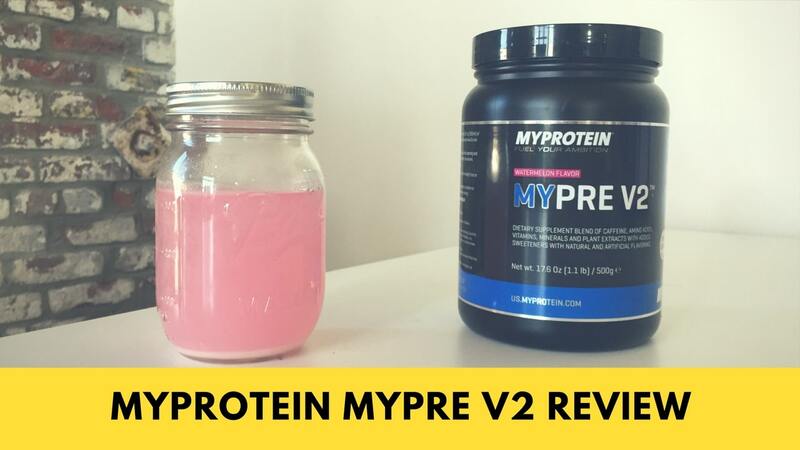 But they have a lot of peri-workout products too, including seven different branch chain amino acid supplements, an intra-workout, a post-workout, two different pre-workout pills, and the product we’re reviewing today: MyPre V2. It has about as much caffeine as you’ll find in 1.5 cups of coffee, but there are a ton of other ingredients with caffeine-like properties. So what’s in it? An extremely well dosed, well researched preworkout that's tasty to boot. There’s 150 milligrams of caffeine and 50 milligrams of theacrine, an alkaloid found in tea that has similar effects. 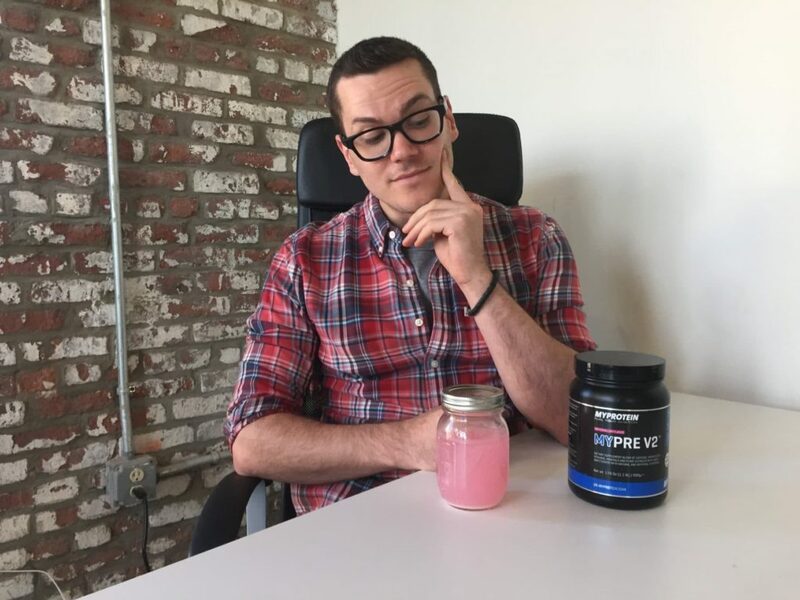 There’s also beta alanine, l-citrulline malate, n-acetyl l-tyrosine, betaine anhydrous, l-arginine AKG, two kinds of yohimbine, two kinds of creatine, choline bitartrate, astragalus, black pepper extract, and capsimax, a compound made from peppers. There are also a few B-vitamins — folate, niacin, and B12 — and the electrolytes sodium and potassium. The “Other Ingredients” portion just has natural and artificial flavors, the artificial sweeteners sucralose and acesulfame potassium, some food dye, some salt, and a couple of anti-caking agents. There are a lot of ingredients here. The first ingredient I usually look at is the caffeine: 150 milligrams. But there are other ingredients with similar effects, especially the 50 milligrams of theacrine. To simplify things, I’ll try to group the ingredients by their most notable effects. Power: The creatine and betaine anhydrous come into play here. Endurance/Anti-fatigue: Besides the caffeine and theacrine, the choline bitartrate is linked to improved time to fatigue and astragalus may also improve endurance. Focus: Yohimbine is a stimulant that may help with focus and creativity, while the tyrosine may help with focus and have anti-stress effects. Fat loss: The product contains Capsimax, a pepper extract that might help mobilize fats for energy production. Absorption: Black pepper extract may improve the absorption of all of these ingredients. The B-vitamins, while associated with energy production, do not act as stimulants here. But if you don’t get sufficient amounts of these vitamins from your diet, then regularly taking this supplement may help you feel more energized. I was pleased by the dosages in this product — most of the ingredients reach effective amounts, though I would have liked to have seen a little more yohimbine and astragalus. It’s $27 for 38 servings, so 71 cents per serving. That’s really cheap. 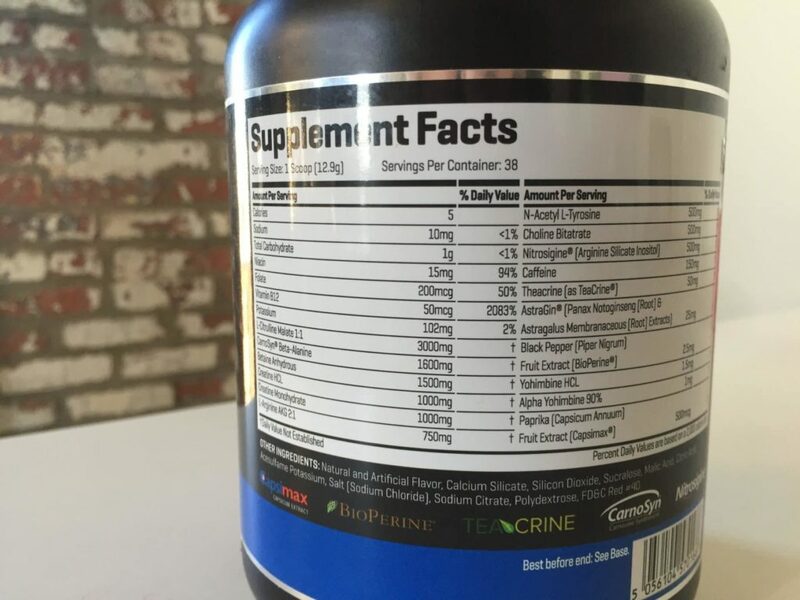 Most pre-workouts fall between 84 cents and 1 dollar per serving. The only pre-workout I’ve seen thus far that’s cheaper is MusclePharm Assault, which is 70 cents per scoop. I tried the watermelon flavor. It was delicious, but surprisingly sour for a pre-workout. If you don’t like sour flavoring, make sure you mix it with something like two cups of water. Note that the Capsimax may produce a slightly spicy aftertaste. I was really impressed by MyPre V2. It has a good hit of caffeine and plenty of the most commonly sought after ingredients in pre-workouts, plus a lot of extras that you don’t typically find in this price range. I think a couple of the ingredients, particularly the astragalus and the arginine, have been a little overhyped as far as improving sports performance. But there are so many effective ingredients, at effective doses, at a low price, that I think this is definitely worth the money.